Stunning Craftsman style colonial set on an incredible 1.13 acre sweeping property close to the center of town. 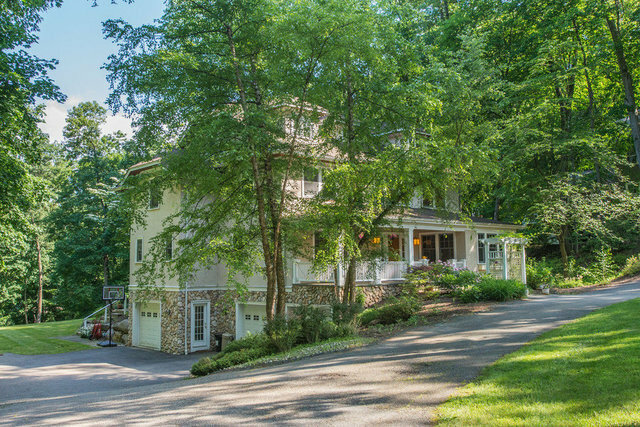 Built in 2001, this meticulously maintained gem features a wonderful, open floor plan. Gorgeous blue stone front porch; first floor office; lovely formal dining room; expansive living room and magnificent custom cherry kitchen open to an inviting family room with handsome wood burning fireplace, French doors lead to a fabulous deck overlooking the deep, lush backyard. The second level is home to a beautiful master suite as well as two additional bedrooms and a crisp hall bath while the third floor is an ideal guest area with two additional bedrooms, a sitting area and a hall bath. The impressive lower level features high ceilings, stone tile floors and wood burning fireplace additional room and full bath! Charm, character and quality craftsmanship make this home a standout! Move in and enjoy!